The Drago brothers have an ever expanding little empire going in Beverly Hills. 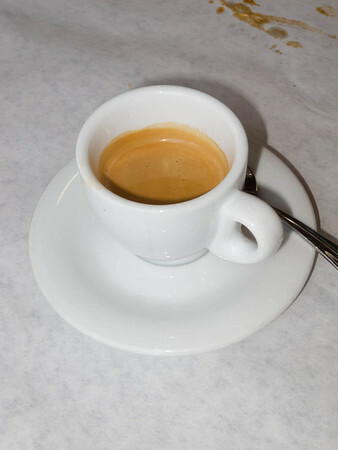 This includes Il Pastaio, Enoteco Drago, Piccolo Paradiso, and Il Buco. Plus several others on the westside, the valley, downtown etc. I’ve reviewed Celestino Drago’s flagship Drago and I’ve been to most, all are very good. 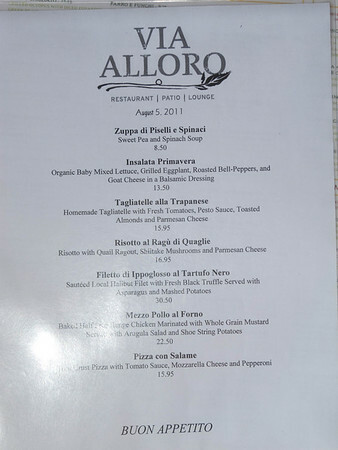 Via Alloro is new, managed by brothers Giacomino and Tanino, and only two blocks from Il Pastaio. We decided to grab a quick lunch there and check it out. 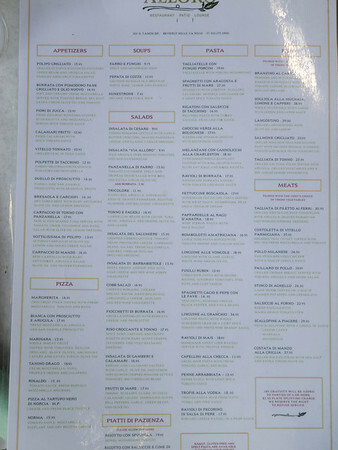 Lots of good choices on this menu. The PDF. 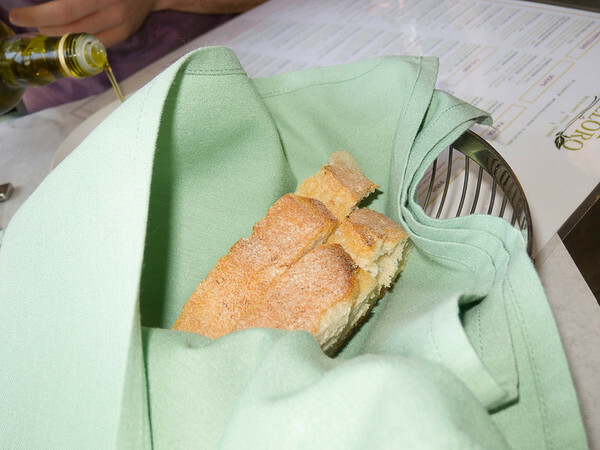 Excellent bread as at all Drago restaurants. 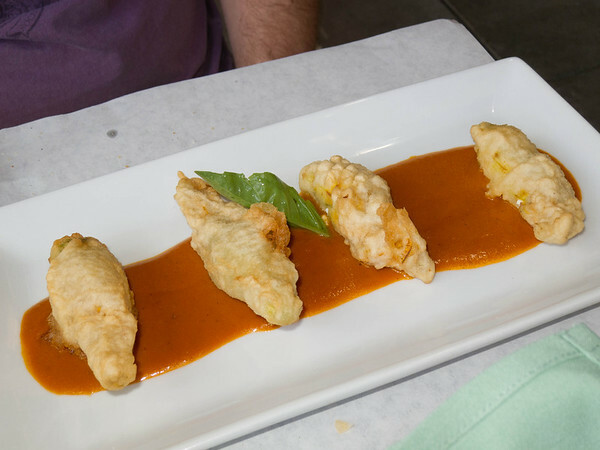 A slightly different take on fried zucchini flowers. Stuffed with ricotta and mozzarella. Then served over a light tomato sauce. 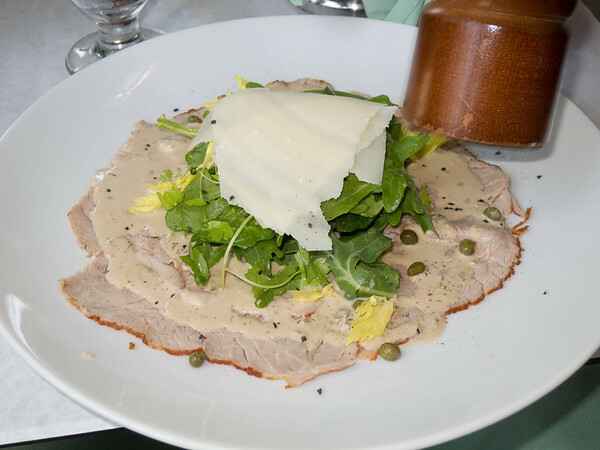 “Vitello Tonnao. Chillded veal in tuna sauce, with parmesan and capers.” This was damn good, with the very tasty zesty salty sauce really bringing out the flavor of the meat. Lots of great pastas here — no surprise. 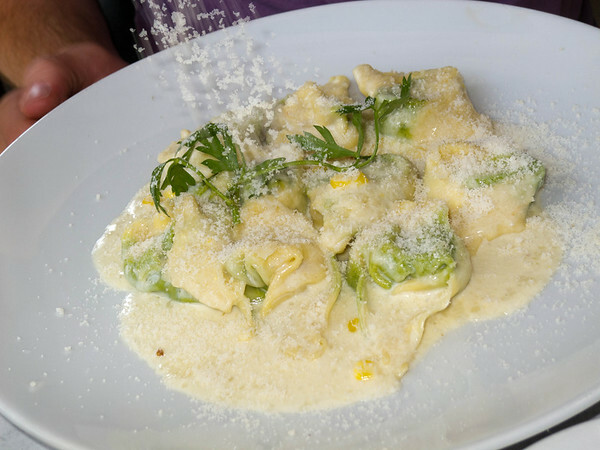 “Homemade ravioli filled with sweet corn, served with truffle fondue.” Hard to beat that. Off to a great start on the latest BH Drago Italian. I’ll have to come back for a more extensive dinner. Click here to see Eating Italy posts. 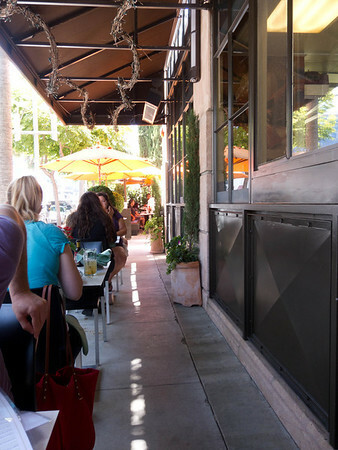 Or for more LA Restaurants. 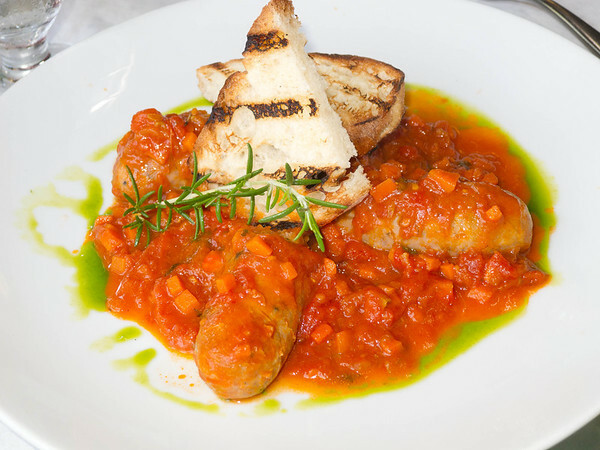 This entry was posted in Food and tagged Beverly Hills California, Cooking, Drago, Giacomino Drago, Home, Italian cuisine, Italian sausage, Italy, Los Angeles, Pastaio, Restaurant, Restaurant Review, Tanino Drago, Via Alloro.